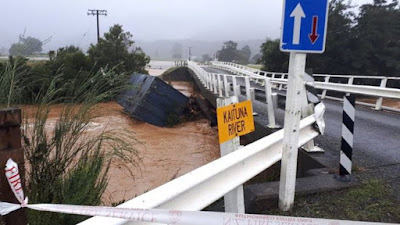 Sciency Thoughts: Cyclone Gita reaches New Zealand. 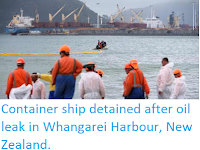 Cyclone Gita made landfall on South Island, New Zealand, on Tuesday 20 February 2018, bringing flooding and high winds to the area around Christchurch in the Canterbury Region. 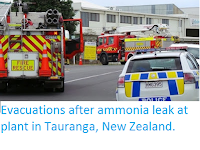 There are no reports of any casualties associated with the storm in New Zealand at this time, though it has caused flight cancellations and several people have had to be rescued from floods. Debris on a swollen river near Bainham in the Tasman Region of South Island. Reuters. Cyclone Gita first formed to the southeast of the Solomon Islands in the first week of February 2018. 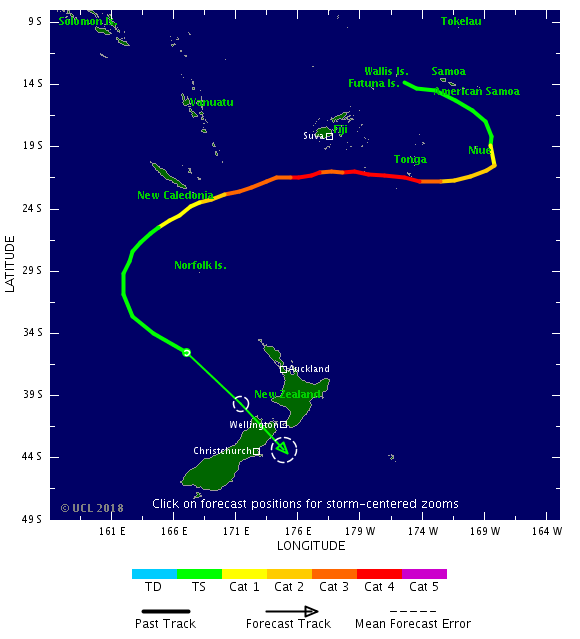 It passed to the south of Samoa and American Samoa between 8 and 11 February, causing flooding in both groups of islands, and wind damage in parts of American Samoa. 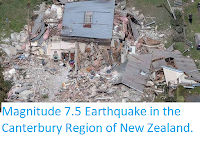 The storm passed directly over Tonga on 12 February, causing extensive damage, to the islands' infrastructure, damaging over a thousand buildings, and totally destroying over a hundred, including the nation's parliament building. 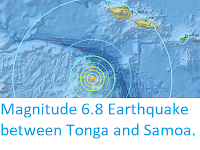 One person is known to have died in Fuaʻamotu on Tongatapu (the largest island of Tonga and seat of the national government), with at least 30 more being injured, three of them seriously. 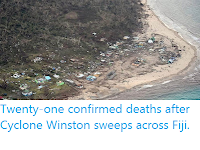 After Tonga Cyclone Gita passed to the south of Fiji on 13 February, again causing flooding and wind damage, but this time no reported casualties. 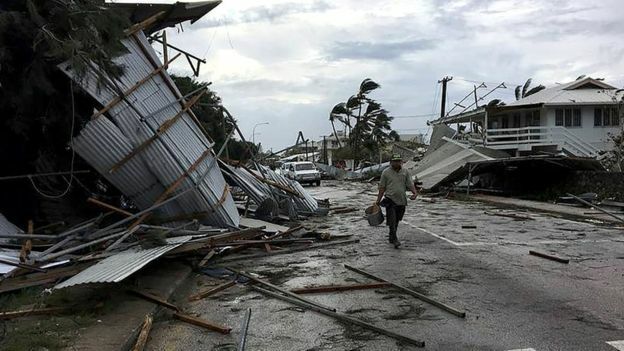 Storm damage on Tonga following the passage of Cyclone Gita. John Pulu/AFP. Tropical storms are caused by solar energy heating the air above the oceans, which causes the air to rise leading to an inrush of air. If this happens over a large enough area the inrushing air will start to circulate, as the rotation of the Earth causes the winds closer to the equator to move eastwards compared to those further away (the Coriolis Effect). This leads to tropical storms rotating clockwise in the southern hemisphere and anticlockwise in the northern hemisphere.These storms tend to grow in strength as they move across the ocean and lose it as they pass over land (this is not completely true: many tropical storms peter out without reaching land due to wider atmospheric patterns), since the land tends to absorb solar energy while the sea reflects it. The passage of Cyclone Gita till 6.00 pm GMT on Monday 19 February 2018 (thick line) with its predicted future path (thin line, circles represent the margin of error on the predictions). Colours indicate the strength of the storm. Tropical Storm Risk.